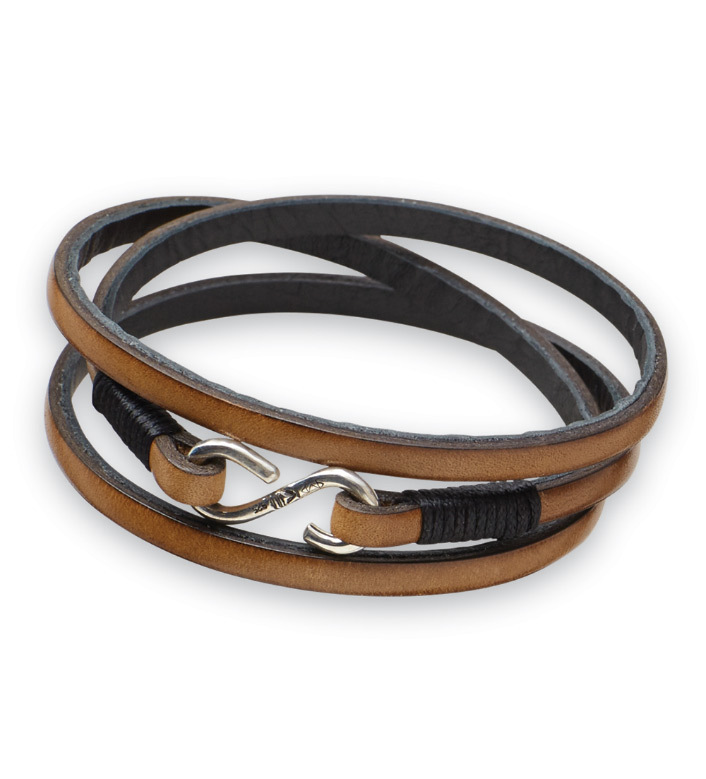 Each individually handcrafted in USA, a triple wrap of genuine leather. Solid sterling silver clasp. 8 ½ long.